Tokyo: To some Western analysts, it is beginning to look a lot like 1989. In recent days, Japan’s once formidable megabanks and financial titans are returning to the world financial stage after an absence of almost two decades, buying pieces of Wall Street institutions. It is also unclear whether the Japanese are taking advantage of Wall Street’s woes or the American firms are taking advantage of pliable partners. 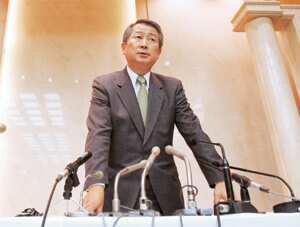 Bank analysts note that some deals involve Japanese companies putting up significant sums of money for minority stakes. What is clear is that in the last three days, Japanese firms have spent billions buying chunks of what were some venerable names in American finance. On Monday, the Mitsubishi UFJ Financial Group, Japan’s largest bank, announced it was acquiring up to 20% of Morgan Stanley in a deal worth as much as $8.5 billion (Rs39,355 crore). On Tuesday, Nomura Holdings Inc., the country’s biggest investment bank, said it would spend an undisclosed amount to buy the Asian, European and West Asian units of Lehman Brothers Holdings Inc. In a statement on Monday, Nomura’s chief executive, Kenichi Watanabe, called the Lehman deal a “once in a generation opportunity". Tokyo is abuzz with reports and speculation of more such deals. On Wednesday, several newspapers reported that another Japanese bank, the Sumitomo Mitsui Financial Group, was in talks to invest as much as $2 billion in Goldman Sachs Group Inc., joining the billionaire Warren E. Buffett, who on Tuesday announced a $5 billion investment in the Wall Street firm. 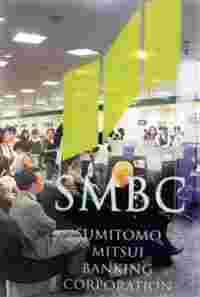 A spokeswoman for Sumitomo Mitsui said the bank had made no decision yet. The Japanese have also surprised the world because it is they who have emerged as the buyers, rather than faster growing Asian rivals such as China and India. Banks in those countries often lack the expertise to expand overseas and have loan problems of their own. The willingness of the Japanese to step into the breach seemed to reinforce an image that the Japanese giant is back. But far from representing the rise of Japanese global ambition, the wave of acquisitions is the result of a timely convergence of opportunities abroad and a lack of opportunity at home. It is a convergence that began appearing more than a year ago, when corporate Japan began an unprecedented overseas buying spree long before it was clear that Wall Street would succumb to subprime wounds. And the spree extended far beyond banks, as the Japanese took advantage of depressed share prices to snap up American, European and Asian firms, in industries from banking and insurance to pharmaceuticals. According to market research company Thomson Reuters, Japanese companies spent $42.1 billion on overseas acquisitions in the first eight months of the year, up four-fold over the same period last year. That does not include the recent financial deals. “It seems like we’ve been seeing outbound deals everyday," said Yuichi Jimbo, head of investment banking at JPMorgan Chase and Co. in Tokyo. “We haven’t seen this for 20 years." Japan’s banks find themselves in this position almost by accident. Having survived the subprime crisis relatively unscathed, they suddenly appear to be the last man standing in global finance. According to the International Monetary Fund, Japanese banks stand to lose about $8 billion in the $1 trillion subprime meltdown. But that is because Japanese banks were forced to sit out the mortgage-debt party on Wall Street. At the time, they were either busy cleaning up from the collapse of their own real estate bubble in the late 1980s, or too shell-shocked to venture into risky foreign investments. That has left them with healthy balance sheets and plenty of cash. They control most of Japan’s $14 trillion in household savings, one of the world’s largest pools of capital, exactly what crippled Western firms desperately need right now. While Japanese companies may suddenly appear formidable again to outsiders, the view from within is quite different. Having been burned on such trophy acquisitions two decades ago as Rockefeller Center and Universal Studios, the last thing Japanese managers want to do is venture overseas again, they say. But with little hope of robust expansion at home, and a shrinking population that is rapidly aging, Japan’s larger and healthier companies feel no choice but to go overseas in search of growth opportunities. “Companies know the only way to grow is going overseas, and they have to get there ahead of the Chinese," said Peter Eadon-Clarke, a strategist in the Tokyo office of Macquarie Capital Securities. Banking analysts also say that while Japanese banks may have deep pockets, they still lack what it takes to truly compete in the world of global finance. Analysts point out that in some recent deals such as Mitsubishi UFJ’s investment in Morgan Stanley, the Japanese investor seems to be nothing more than a source of cash. Even in deals where the Japanese company takes control, they face the tricky task of integrating foreign employees and businesses into Japan’s quirky, consensus-driven and often opaque corporate culture. This proved Japan’s undoing in the 1980s, when cash-rich Japanese banks bought up Wall Street firms and even banks in California, only to see local talent jump ship when faced with corporate Japan’s glass ceilings for foreigners and incentive systems that favoured seniority. Many of the problems still exist, say analysts, a fact that reflects the broad cultural gaps that may hamstring efforts by Japan’s commercial banks in particular to become global players. “There’s no way they can become players," said Naoko Nemoto, a banking analyst at the Tokyo office of Standard and Poor’s. “They are too bureaucratic, like the finance ministry. They don’t have the greed or the drive." Nemoto and other banking analysts said one surprising thing about the recent moves by Japanese companies was their speed, which they called highly unusual for cautious, lumbering giants such as Mitsubishi UFJ, with $1.1 trillion in deposits. Analysts said this reflected the widely held feeling that, despite the risks of another venture abroad, the financial crisis may be best chance Japanese banks have to re-establish a presence in overseas markets. “It’s like skiing," said Nemoto. “They will never be able to learn unless they get back on the mountain and try again."